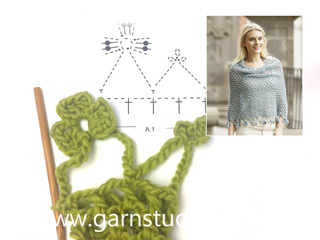 In this DROPS video we show you how to crochet the Aira poncho with flower edge in DROPS 162-24. We begin with working 3 rounds with ch-spaces. In the third round we also show how to increase in a ch-space as described in round 4, 6, 7 and 8. We finish of showing one repeat of the flower edge. (Please note that the flower edge is the same as for the stole in DROPS 162-7). 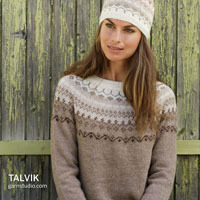 This poncho is made in DROPS Alpaca Bouclé, but in the video we work with a thicker yarn; DROPS Eskimo. You must read the pattern and the charts to be able to follow this video properly. You’ll find the pattern for this poncho and the stole by clicking the pictures below.